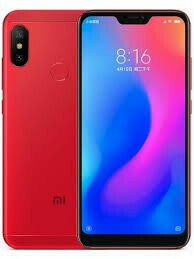 With Xiaomi's Redmi series, last year's "innovation" from Cupertino has reached the low-priced midrange smartphone market. The Redmi 6 delivers an outstanding performance in addition to – or perhaps despite – the notch in the upper third of the display. 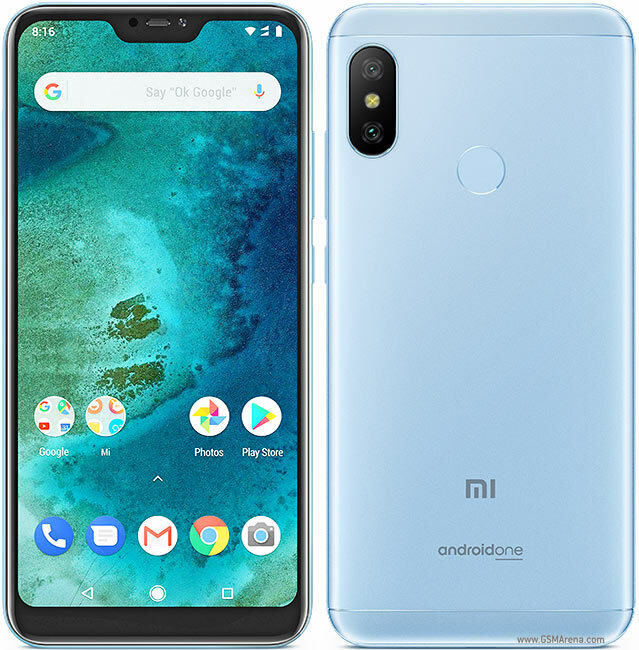 Our detailed review includes more information about the Xiaomi smartphone's performance and answers the question whether an import of this midrange smartphone is worth the effort. 80% Обзор Xiaomi Redmi Note 6 Pro: как изменился лучший бюджетный смартфон? The Xiaomi Redmi Note 6 Pro is the successor to the Redmi Note 5 Pro and has a few upgrades over the model it replaces. The notched display on the Redmi Note 6 Pro is bigger and brighter, and the cameras have also been upgraded, which does result in better output. Xiaomi has improved slightly on a product that was already good, and the refresh was necessary because competition has now caught up with Xiaomi, in the form of the Nokia 6.1 Plus (Review) and Asus ZenFone Max Pro M1 (Review). Stay tuned to Gadgets 360 for our extensive review of the Xiaomi Redmi Note 6 Pro, coming up very soon, in which we test its display, design, performance, software, battery life, camera, and value for money. It's the new Redmi Note and for the fans, this is enough of a reason for an upgrade even though the novelties aren't that many since the Redmi 5 Pro. But the Redmis, and the Notes particularly, are becoming more attractive by the hour for users that are either disappointed by the major companies in the industry, or just tired of the high prices they are charging lately. So, who is the Redmi 6 Pro for? And where does it stand in the flooded space of smartphones in its segment? Well, if you’re looking for a compact smartphone with a display notch, good set of cameras and a sublime battery, you can consider the Redmi 6 Pro. 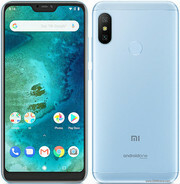 However, phones mentioned above like the Asus Zenfone Max Pro M1 offer a better chipset, an even bigger battery and a stock Android experience resulting in much better performance, while the Nokia 5.1 Plus with the Helio P60 should be one of the best performing devices in this segment if that’s what you’re looking for and can forgo a little in the camera and battery departments. To put it in a simpler way, the Redmi 6 Pro is good, but it’s bettered by other phones in this segment mainly in the performance department, and then can be a deciding factor for many. Xiaomi Redmi 6 Pro comes with a starting price tag of Rs 10,999. At this price point, the smartphone offers all the essential features of a budget smartphone. However, it is not the ultimate budget device which you can buy. The smartphone has a bulky form factor and offers an average camera setup. This means you can clearly give this one a miss. Instead of the Xiaomi Redmi 6 Pro you can consider buying the Honor N9 which falls under the same price bracket and offers a much better design and performance. The legendary American football coach Vince Lombardi once said, “Winning is a habit. Unfortunately, so is losing.” Is anyone at Xiaomi listening? Looking at Xiaomi’s current Redmi lineup, the Redmi 6 Pro doesn’t make a very strong case for itself. There’s nothing terribly wrong with it, but at the same time, it doesn’t really offer anything new or different compared to the existing Redmi Note 5 (Review), which costs Rs. 1,000 less for the same amount of RAM and storage. You also have the Redmi Y2 (Review) at the exact same price as the Redmi 6 Pro, and that model has a better front camera, but you'd compromise a bit on the display and battery capacity. What Xiaomi has essentially done here is create a bit of confusion in its own lineup. Frankly, the Redmi series is very confusing right now. If you have an older Redmi phone like Redmi Note 3, Redmi 3S, etc, you can consider upgrading to this, though the performance bump might not be so obvious. For Redmi Note 4 or Note 5 users, the only big plus is the dual-camera. There has been a lot of hype around the Redmi 6 Pro in India because the Redmi 6 Pro became the Android One-powered Mi A2 Lite in select markets. Just because the Mi A2 Lite is not coming to India doesn't mean buyers in India would mind trying out its capable hardware and its notch design. It may not be meant for power users, but for everybody else, the Redmi 6 Pro presents a viable option. Whatever be the case, it would certainly be advantage Xiaomi. The Redmi 6 Pro does everything right in typical Xiaomi fashion but fails to offer something new. The Redmi 6 Pro isn’t really a game changing phone. Think of it as a nice iterative upgrade. A refresh that brings in some additional modern elements to an already solid offering. The Snapdragon 625 isn’t as good as the 636 on the Redmi Note 5 Pro but is a good enough mid way ground. Similarly, the dual camera array is much better than the Redmi 5 and just a touch behind the Redmi Note 5 Pro. Essentially, the Redmi 6 Pro is a great stepping stone between budget and mid range hardware. The Xiaomi Redmi 6 Pro introduces the notch to the entry-level segment, but underneath, it has the old Snapdragon 625 chipset. The phone isn't going to turn heads, but if you're looking for something reliable and functional, the Redmi 6 Pro is a good choice. Although, note that there are other more powerful options this time in the form the Asus Zenfone Max Pro M1 which runs on the Snapdragon 636 and has stock Android interface. It will ultimately come down to the availability, and considering the dollar-rupee fluctuations, the price is also likely to increase in a few months. Xiaomi Redmi 6 Pro First Impressions: New packaging, same specs! To conclude, the Redmi 6 Pro comes loaded with a solid yet similar design language. The display looks good and the battery should be enough to last one full day. The processor is surely Xiaomi’s favourite and the camera performance looks decent. As for the competition is concerned, it will face a stiff competition with the likes of Asus Zenfone Max Pro M1, Realme 1 and more. The Redmi 6 Pro is a good handset, a decent one with above average performance and above average camera quality. Battery life is pretty impressive thanks to the combination of Snapdragon 625 with 4000 mAh battery.